Do not buy alone your car. Call us for your own security. A new or used vehicle bought (or leased) from a dealership will almost certainly have the registration and ownership transfer handled by the dealer. The dealer may also offer insurance contracts. Many dealerships will take the old vehicle as part exchange. When buying a second-hand used car it is important to see originals of all the paperwork. This is particularly important when buying privately, to ensure that the person selling the car has the right to sell it. Be sure to match the name on the paperwork to those on the sellers' personal identification document. The buyer and seller should draw up a sale agreement (Contrato de Compraventa) or the seller may provide an invoice. Either should note the details of the vehicle, names of buyer and seller, the sale price agreed and date and time that the transfer takes place (this final point is so that if there are traffic fines associated with the vehicle they can be assigned to the correct person). The buyer provides a transfer of ownership form (Solicitud de Transmisión de Vehículos) which is signed by the buyer and the seller. It is a duplicate form with the buyer and seller each keeping a copy. Note: Further documentation may be requested by some province or autonomous region authorities. A bank cheque (Cheque Bancario) is generally regarded as the normal way to make large payments in a private transaction in Spain. Personal cheques are not guaranteed. Also a BANK TRANSFER. The existing insurance may be transferred by the seller to the new owner. The seller may instead choose to cancel the policy or transfer it to another vehicle and the new owner may arrange their own insurance. The insurance must be arranged before the new owner drives the vehicle. Transfer of ownership is finalised at the Jefatura de Tráfico. The buyer and seller may go together to submit paperwork, or do it individually. It is possible to visit the traffic office in person or to employ a gestor to do so. The seller should notify the local Traffic Office (Jefatura de Tráfico) of sale or transfer. 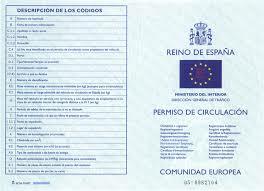 Take a copy of the registration document and completed transfer of ownership form to the traffic department. Within 15 days of the sale, the buyer should be able to provide the seller with proof that the paperwork has been completed. If this is not possible the seller should contact the local Traffic Office to inform them that the car has been sold (notificación de venta). 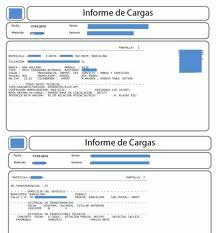 Use the Notificación Transmisión de Vehículos form. It is important to make sure that the transfer is properly completed, otherwise the seller may be held responsible for the unpaid tax or fines incurred by the new owner. 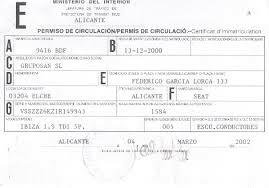 The seller may apply to the local Traffic Office for deregistration papers (baja de vehículo) to avoid later consequences. The buyer must register the vehicle in their name at the vehicle registry (Registro de Vehículos) at the local traffic department (Jefatura de Tráfico). This transfer of the vehicle's registration document must be made within 30 days of purchase. The cost of the transfer is currently 4 percent of the value of the vehicle, however if a buyer chooses to use the help of a gestor, the buyer will pay an additional fee for this service.